Andy and his team share many of the values we hold dear at konbi. 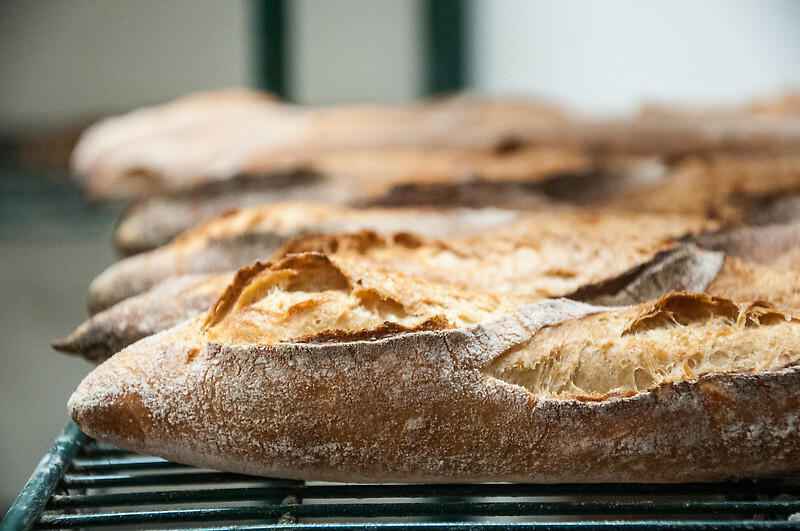 Sourcing grains locally from mills such as, Grist and toll, they put the utmost care into their bread to create a product that is simply better. When it came to choosing a partner for our milk bread, there was never any question, it should be Bub & Grandma's. Sourced directly from growers and producers in Japan, Kettl Tea brings the finest Japanese teas from rural, isolated areas direct to consumers. Tea is purchased weekly and shipped from japan to konbi. All (4) varieties of tea we carry are provided by kettl. Try Sencha - a rich, green tea that really highlights the difference of small batch production. Konbi is proud to serve Camber Coffee from Bellingham, WA. We selected Camber for their sweetness, complexity, and balance in the cup, as well as their sustainable sourcing practices. Their steadfast dedication to excellence mirrors Konbi's approach to food, and we're very excited about our partnership.